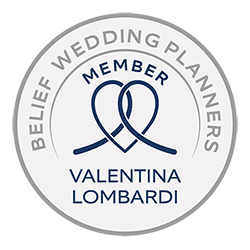 It’s a pleasure for us today to welcome Rossana to our blog, who is employed at the CENTRO DANNEMANN, the exclusive location on Lake Maggiore in Brissago that recently joined the team of Italian Lakes Wedding. 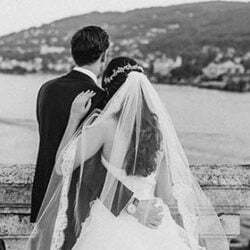 Rossana is going to tell us something about the romantic wedding of Anna Rita and Mario, an italian bridal pair who chose the CENTRO DANNEMANN for their wedding party on the shores of Lake Maggiore. 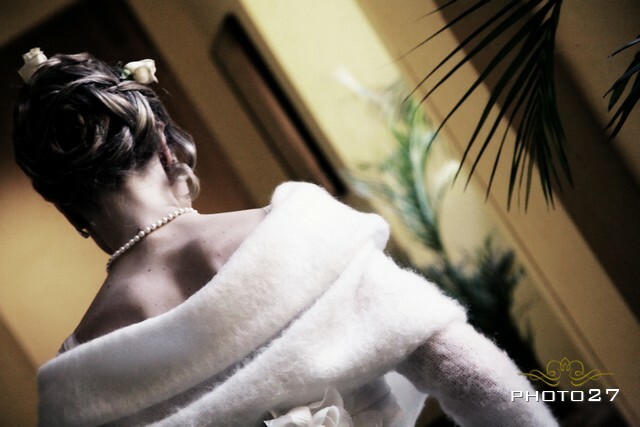 This wedding took place on a very special day: the 14th of february, the day of those who are in love! Now it’s time to let Rossana tell us about Anna Rita and Mario’s most unforgettable day, accompanied by the wonderful images, taken by the photographic studio PHOTO27 in Milan. 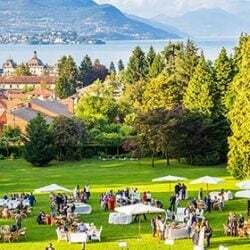 With our bride and groom Anna Rita and Mario, we travel to Switzerland to spend their most beautiful day with them in the magnificent scenery of Lake Maggiore. 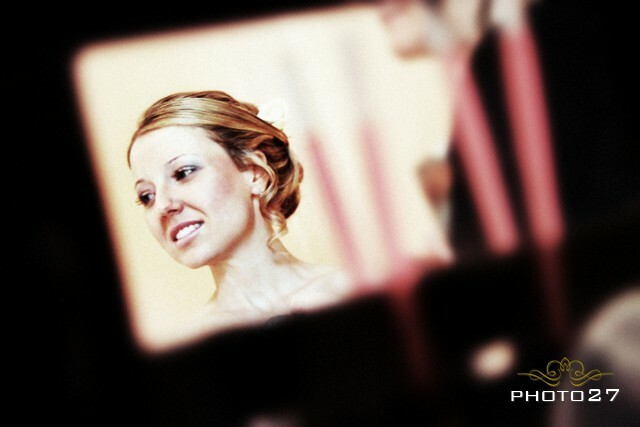 The last look in the mirror, Anna Rita is glowing in radiance, ready to meet her beloved Mario who is eagerly anticipating her at the church! 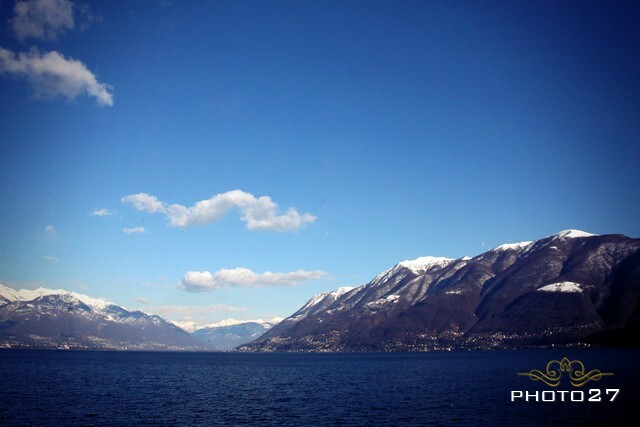 Following the blue of the lake (and of the car!) 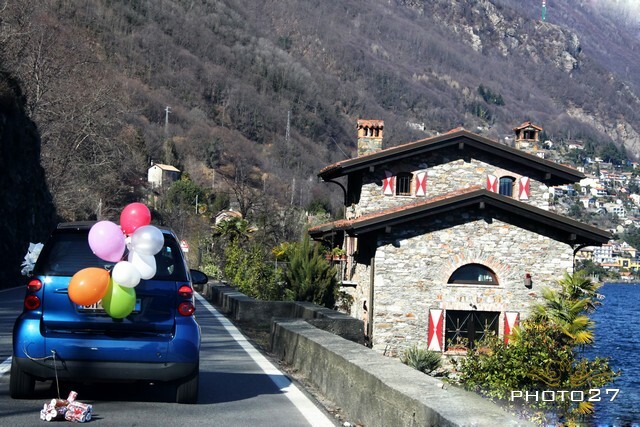 we aproach Brissago, the first village after crossing the border to Switzerland: the newly weds are awaited at the CENTRO DANNEMANN which is beautifully decorated for the party, ready to give them a reception in an unforgettable atmosphere. 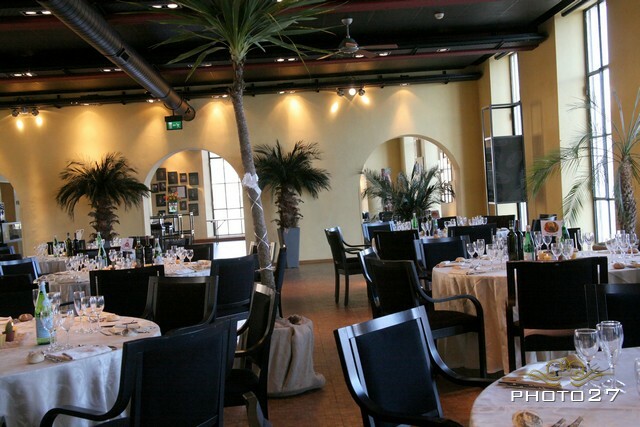 At the CENTRO DANNEMANN the hall that was chosen for the wedding reception overlooks the lake to delight both taste and sight! 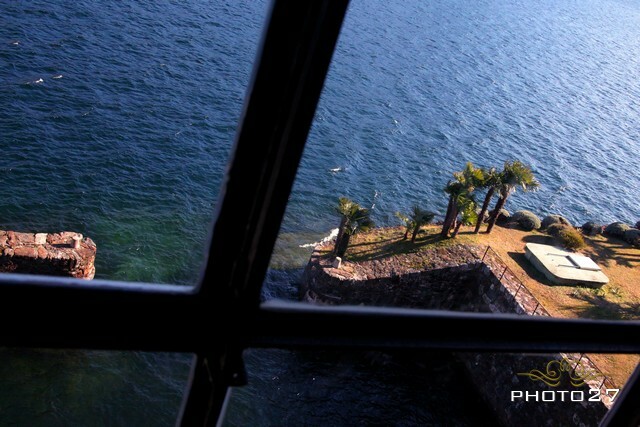 Enraptured by the magic of the moment, bride and groom devote themselves to these romantic fotographs to perpetuate their smiling faces in the breathtaking landscape surrounding them. 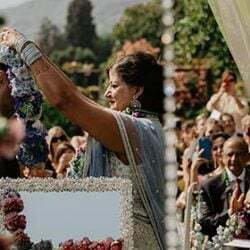 And now for Anna Rita it is time to toss the bridal bouquet, a moment the other young ladys have longed for, as they are hoping that a dream like this will also one day come true for them. 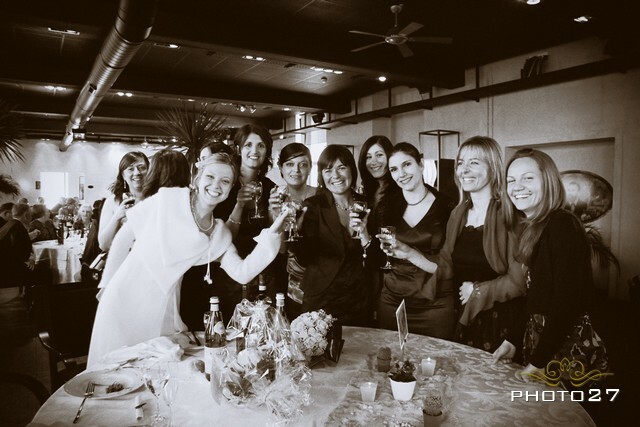 Toasting and smiling… guess who caught the bouquet? 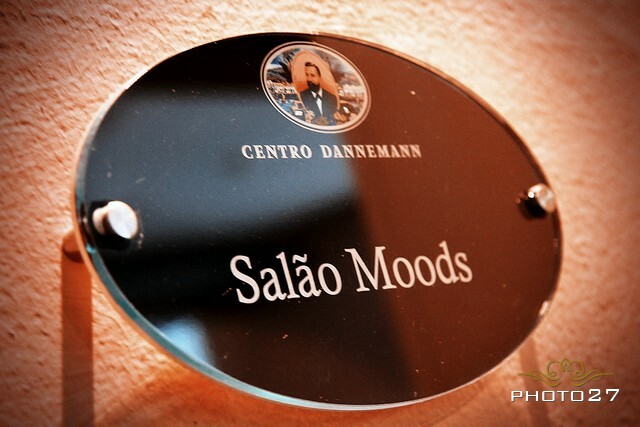 A last snapshot to complete a beautiful, happy and unforgettable day! Our best wishes and long life to the bridal pair! We would like to take the chance to say thank you to Estella & Diego, the photographers from Photo27, chosen by the newly married couple . Thanks to their professionalism and experience, they were able to capture the scenes that will over time let sweet memories return.